This post is by blog team member, Kiran. To learn more about Kiran, check out our team page or her blog! I just got back from Natural Products Expo West, one of two massive annual conventions that feature soooo many brands and new real food products in the natural health & wellness space. It’s something I look forward to each year, because it’s an opportunity to see what everyone is up to, what the new health trends are, and what we, as consumers, can look forward to seeing on store shelves soon! Each year I feel like there are some overriding trends on the horizon, and this year was no different. There was an abundance of coconut, a new focus on CBD (Cannabidiol) hemp oil, and of course products to cater to niche diets, such as Paleo, Keto, Whole30, and more. While I won’t go into further detail about those findings, I WILL share some really cool products that I was excited to see. 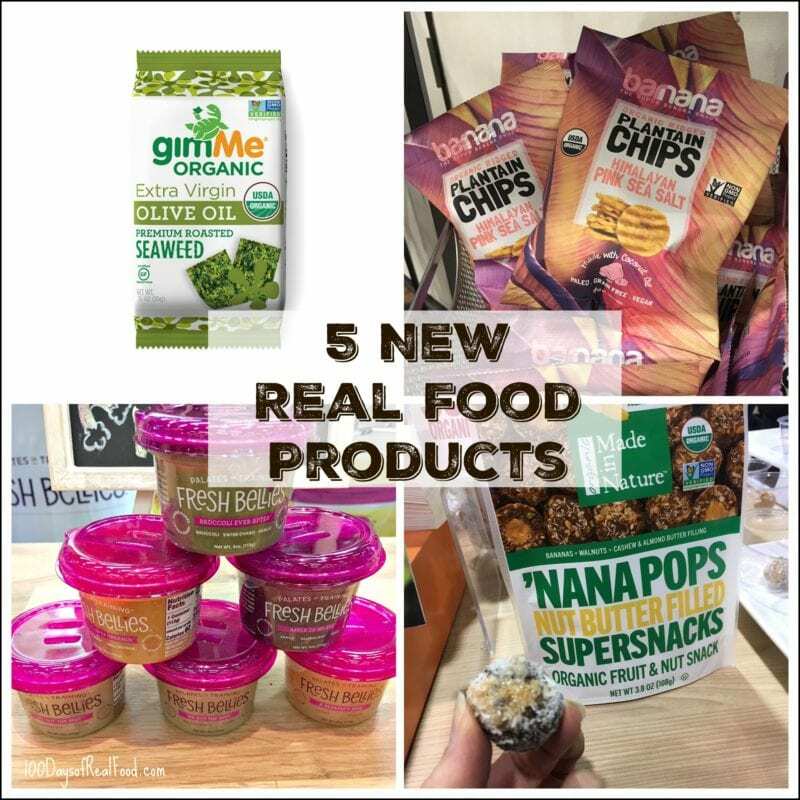 As trends are just that – new ideas that come and go, it’s refreshing to find foods and new products that are true to their roots, delivering solid clean nutrition. Without further ado – let’s take a look! 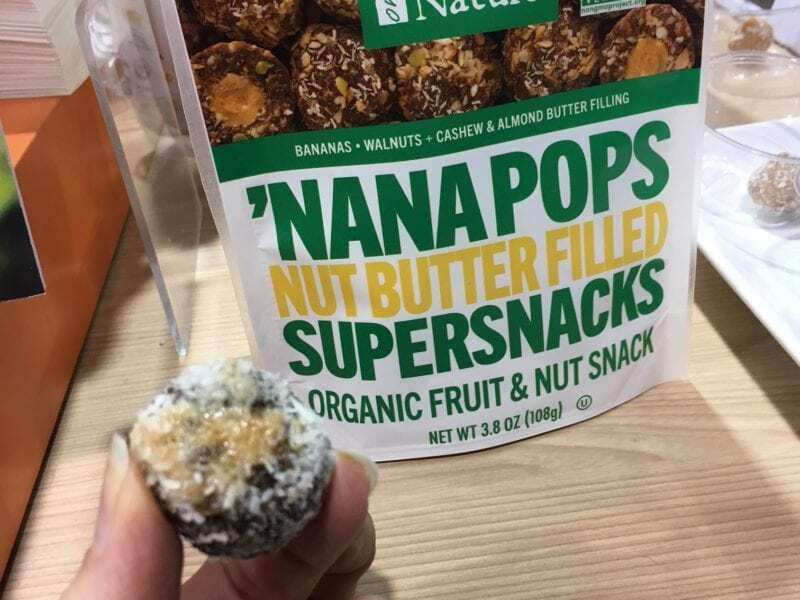 This longtime partner of ours (due to their line of snacks that are just what the company’s name says – made in nature), just debuted another version of their oh-so-loved pops that are ideal for on-the-go. This one is ripe, organic banana mixed with walnuts, crunchy granola, and a sprinkle of spices, filled with creamy cashew and almond butter. Mmmmm! These little suckers are absolutely addicting and perfectly poppable. They are unbaked, bite-size and available at Costco stores nationwide, as well as Made In Nature’s website. Also on the forefront for Made in Nature: be sure to be on the lookout for a twist on their line of pops with Veggie Pops, which are combinations of dried vegetables, nuts, seeds and savory spices. More information is coming soon on timing and availability of these products, so stay tuned! In the meantime – find their products at a store near you or purchase them on their website. Move over sweet purees: there’s a mom on a mission to introduce your little one to real flavors, and their offerings focus on the savory. 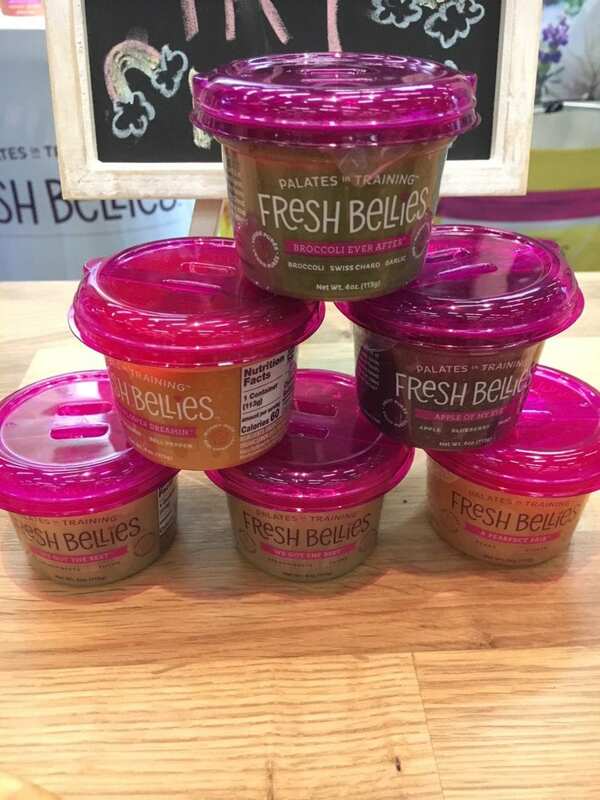 Fresh Bellies offers baby food combos like “Broccoli Ever After” (broccoli + swiss chard + garlic), “We Got the Beet” (golden beets + thyme), and “Apple of My Eye” (apples + blueberries + mint). New to their lineup are freeze-dried, preservative-free foods that are terrific for toddler hands. Flavors include “Pepperlicious” (red peppers + olive oil + sea salt), “Two to Mango” (mango + basil), and “Keep Calm and Cardamom” (apples + cardamom). 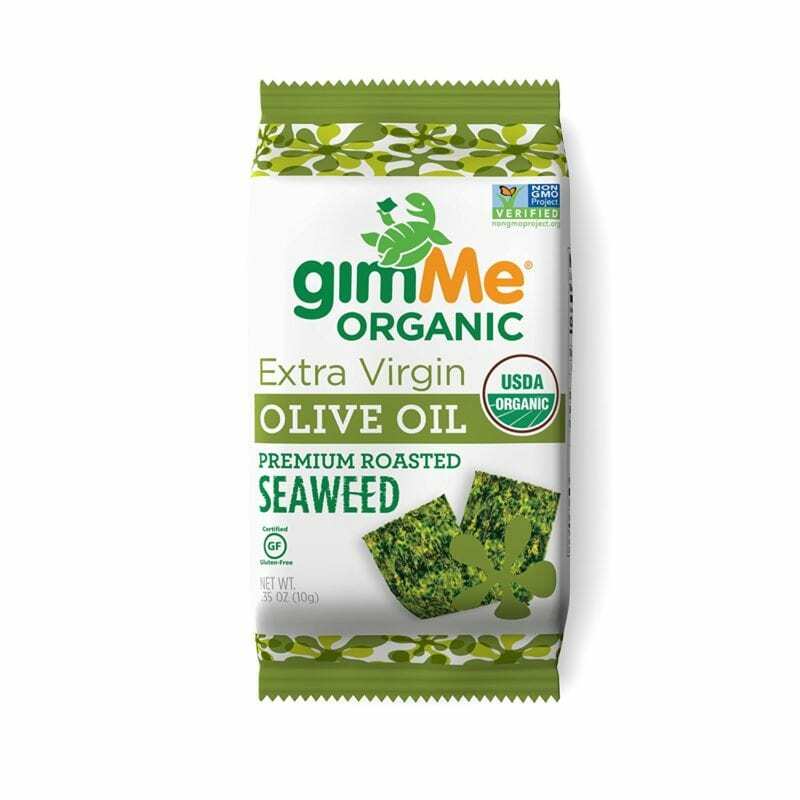 This new flavor of roasted seaweed boasts just three ingredients (YAAAASS! ), including seaweed, olive oil, and sea salt. Gotta love a clean snack that’s great for on-the-go and school lunchboxes. Whole Foods Market is just starting to carry this line, so be sure to watch for it! Oh, and hit me up in the comments below – whose side are you on, mine or my kids? Do you love roasted seaweed like my kiddos do? What is it about ridges? I mean, how can such a simple thing make eating so much more pleasing? Plantain chips are made from (obvs.) plantains, and yes, they are fried, so we consider them a treat. 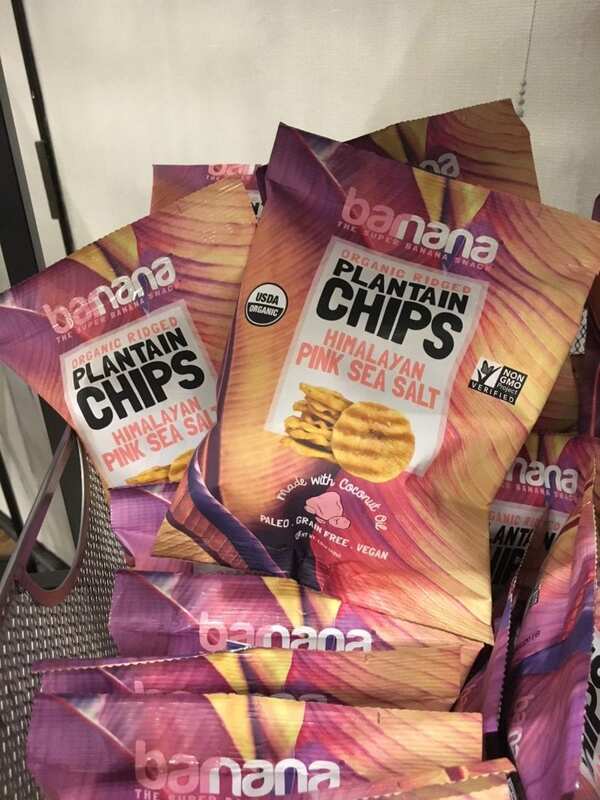 But Barnana has taken things to a new level by adding ridges to their organic plantains, along with a touch of Himalayan sea salt after frying them in coconut oil (so at least it’s not a highly refined oil!). And the end result, my friends, is an utterly crispy, amazing snack that checks the boxes for those who are grain-free, paleo and even vegan – or those of us who are just seeking a sensational and occasional snack. Yum! 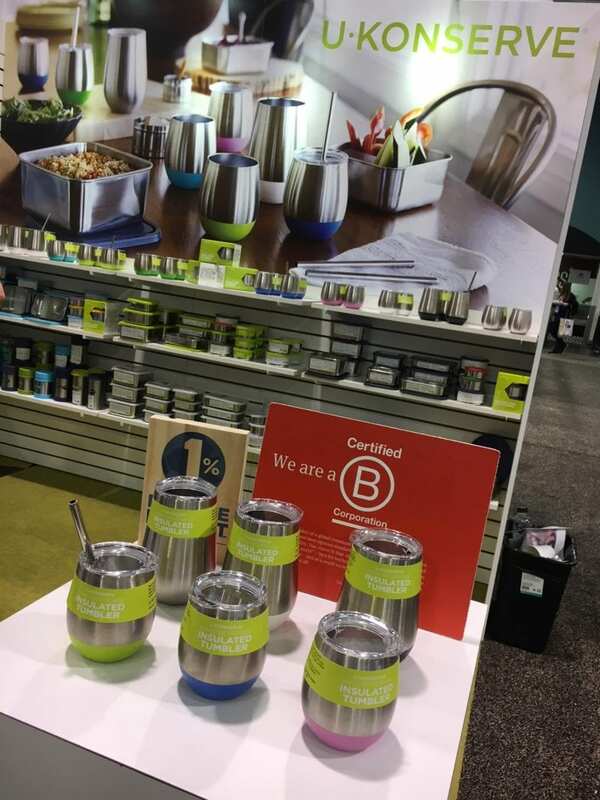 Just in time for summer drinks (for you and the kids) is the latest from our friends at U Konserve: Insulated Tumblers that are perfect for poolside. Double-walled means hot or cold will stay just the way you like them. And the unique colors on the bottom will help your drinks be distinguishable; no more Johnny grabbing Annie’s cup, and no more “oops” when either one of them accidentally snags dad’s! They are durable, reusable, and unbreakable. Get a set for yourself and save 25% with code 100DAYS. I know you must be thinking that this is somewhat of a random one, and I don’t disagree. 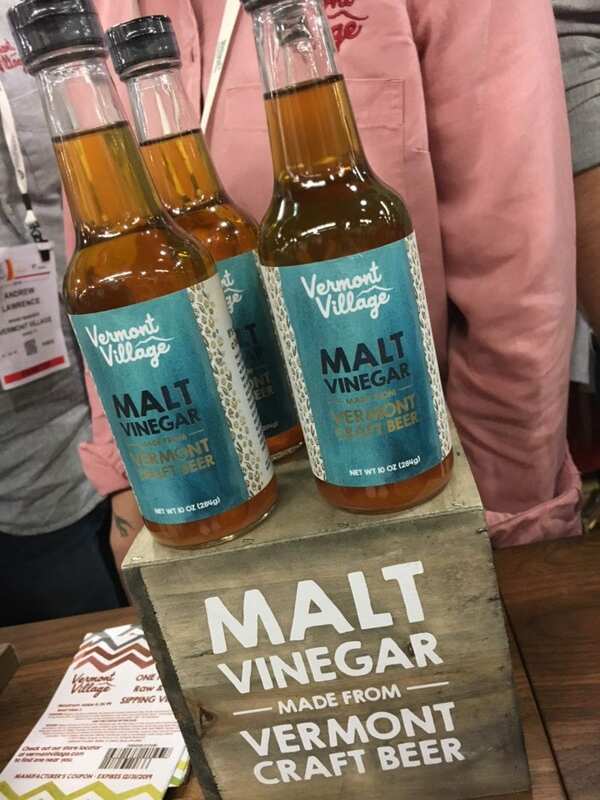 But with the popularity of craft beers, this company took a different take on the flavorful condiment and created malt vinegar made from Vermont craft beer. The hops create an incredible depth of flavor that lends itself well to potatoes, fish, or maybe even bean salads, and offers a clean condiment – something that’s not always so simple to find. I’d love to know – which of these are you most excited about? For people who don’t have to be careful of things in ingredients these are actually a healthier alternative to regular chips. But for our family due to diet restrictions they are not an option. My husband got me a dehydrator so I can make snacks for our family. Glad to see people finally seeing the need to eat healthy. Oh, I am super excited about that malt vinegar!! I’m with you. I cannot stand seaweed, but my kids love it! Which one are you looking for/interested in?